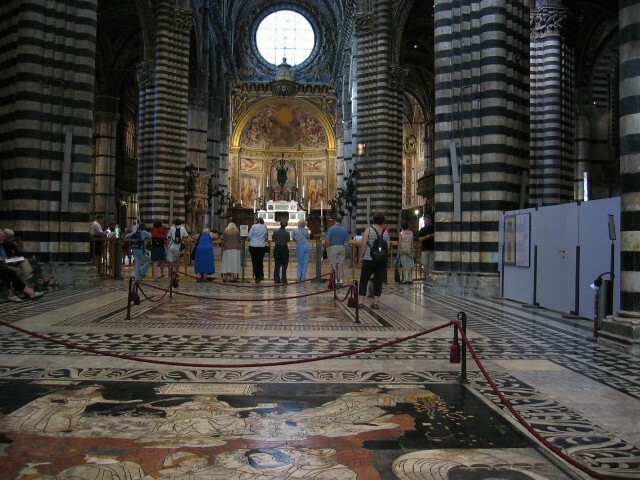 The breathtaking floor of Siena’s Duomo, worked in inlaid marble mosaic by about forty artists from between the 14th and 16th centuries, is one of the most splendid of its kind in all of Italy. 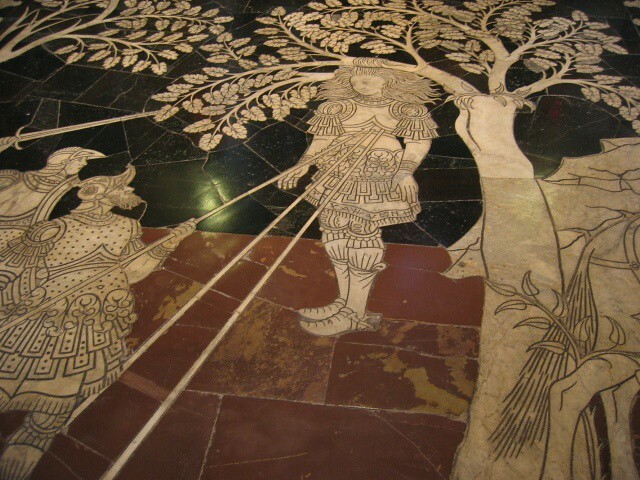 The 56 intricate scenes representing Old Testament stories and allegories, and depicting sybils and philosophers are hidden from view for most of the year, conserved under carpets from the passage of thousands of visitors’ feet. 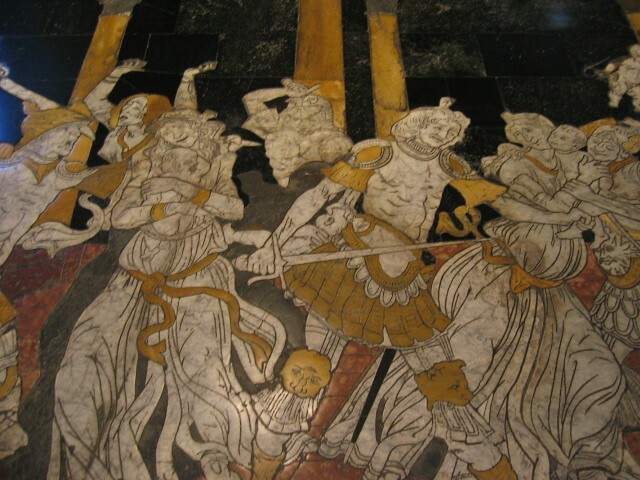 Once each year, these protective coverings are removed and visitors can view the works, from the earliest graffito--a technique of boring tiny holes and scratching fine lines in the light-colored marble, which were then filled with pitch or black stucco--to the later intarsia—or inlay of black, white, green, red and blue stone—covering the whole of the cathedral interior. 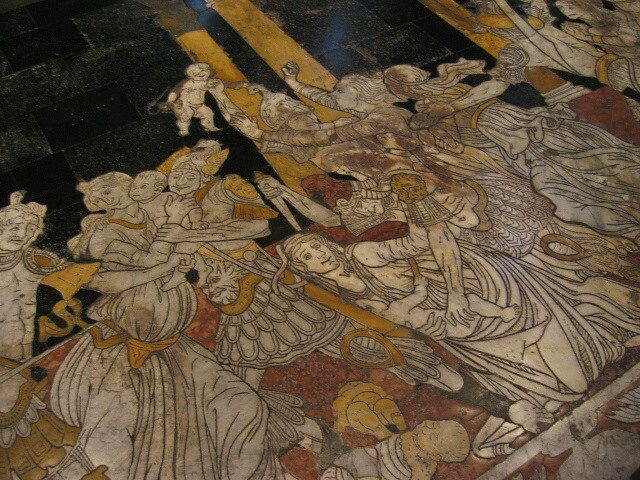 This year, the floor will be on display from August 18 to October 27. Don’t miss this rare chance to see one of Italy’s most spectacular works of art.